Prior to founding Coriolis Capital, Mr Wauters was Global Head of Insurance and Weather Derivatives at SG. He joined the London office in 1998, after spending four years with AIG. Mr Wauters was founder, President and CEO of AIG Combined Risks, which specialised in insurance derivatives and was a pioneer in Catastrophe Bonds and Weather Derivatives. Prior to this, he spent 11 years at J.P. Morgan in New York, where he was involved in the creation of some of the biggest start up insurance companies established offshore, and London where he became Managing Director in charge of M&A Insurance and Financial Reinsurance. Mr Wauters, who is Belgian, has five University degrees (including physics and insurance law) from the University of Louvain. He is married with four children. Martin Jones is CIO and Head of Portfolio Management at Coriolis Capital Limited (CCL). Prior to the MBO, Martin Jones was Director of Insurance Derivatives and Structured Products at SG. He joined the French bank in 1998. Prior to this, Mr Jones spent five years as Vice President with AIG Combined Risks (the insurance derivatives specialist), a wholly owned investment bank subsidiary of the American International Group. His previous employment of 3 years was with J.P. Morgan in London where he specialised in insurance Mergers and Acquisitions, Financial Reinsurance, and Structured Finance. Mr Jones, who is British, has a degree in physics from the University of Oxford. Kristy McMillan is Chief Operating Officer at Coriolis Capital Limited (CCL). Prior to joining CCL, Kristy was a Compliance Officer at F&C Management and also at Schroders Investment Management, where she focused on the compliance monitoring of all areas of each of the businesses, both within the UK and overseas. Before joining these large UK firms, Kristy was Head of Operations at Quaestor Investment Management, a small firm managing equity market neutral hedge funds domiciled in the Cayman Islands. She was responsible for all aspects of compliance, legal and accounting issues and was the Company Secretary for the firm. Prior to working for Quaestor, she worked for Morgan Grenfell, where she was part of the new business team, transferring the assets of new clients from the previous fund manager in compliance with the legal agreements. Kristy has a Law degree from the University of Reading. Guillaume Legal is a Senior Portfolio Manager at Coriolis Capital Limited (CCL). Prior to the MBO, he was a trader in the Insurance & Weather Derivatives group at SG, focusing mainly on research and trading of weather derivatives. Prior to joining SG London, Guillaume, who is French, worked for one year with AXA Investment Managers in Paris in the management of European Fixed Income Portfolios. Guillaume studied at the Paris Dauphine University where he gained a Maitrise in Applied Mathematics and a DESS in Asset Management. Michel Dang joined Coriolis Capital Limited (CCL) as an Investment Analyst in October 2018. He previously worked for Dar Al-Handasah UK Ltd, delivering transaction and operating financial models for infrastructure investments based in the MENA zone. Prior to moving to London, he was based in France and worked as a project finance analyst at Credit Foncier de France focusing on PPP infrastructure projects for one year then interned at the French bank BNP Paribas Investment Partners within the financial engineering team for another year. Michel holds a MSc in Portfolio Management from University Paris-Est Creteil and the CFA Level II. Caine Nicholls is Operations Manager at Coriolis Capital Limited (CCL). Before the MBO, Caine was responsible for Front Office Support and Fund Administration for the Insurance & Weather Derivatives group at SG. Caine had worked at SG since 1996 in both London and Paris within the UK Gilt Edged and Eurobond Settlement departments. 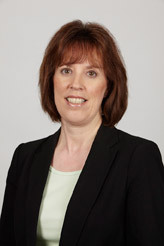 Liz Farrington joined Coriolis Capital Ltd in January 2004, as Office Manager. Prior to this Liz was the Office Manager/Sales & Marketing Support for a Management Consultancy specialising in the financial markets. Before joining the financial world Liz had been employed to open and set up the new City offices of an IT networking company. Liz started her career in the chemical industry, working for a company that sold and manufactured pigments, starting with them in a junior role and finally as the Supervisor of the sales order processing team for worldwide sales.